Sometimes they’re baked and sometimes they’re steamed. They are best eaten at dim sum. Betty White isn’t a fan. The mere mention of pork buns inspires giggling and blushing. Pork buns are a doughy bun with a filling that really can have any kind of meat in it or it can simply be stuffed with a sweet black bean sauce. Being of Eurasian descent, I grew up with pork buns also called ba pao, and I’ve been known to make my own. I like them steamed and I give them a Memphis spin: I stuff them with barbecued pulled pork. I have a friend in Texas who stuffs them with barbecued beef brisket. 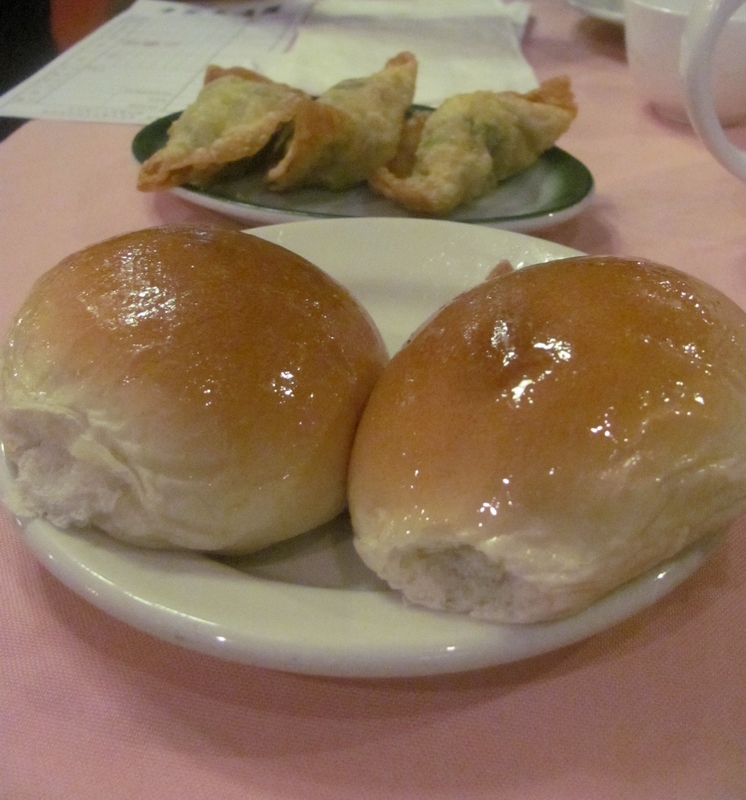 But to back up a bit, newcomers to pork buns may have first been introduced to them at dim sum. 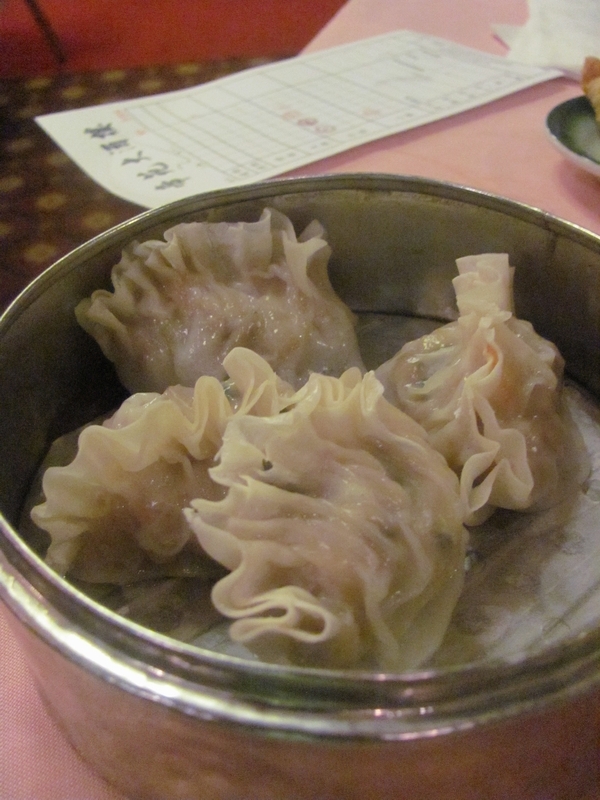 Dim sum is served at Chinese restaurants. Instead of options to choose from a menu, servers push food carts throughout the dining area and invite diners to pick from items on the cart. These may be considered appetizers or small plate dishes and range from the exotic such as chicken feet to the familiar such as egg rolls. And everything in between which would most likely include pork buns (baked or steamed), sho mei or steamed dumplings which can be filled with either vegetables, shrimp or pork; fried dumplings, sticky rice wrapped in banana leaves, shrimp balls, meat balls, spare ribs, fried tofu, noodles, soup. Well you get the picture. The pork buns pictured at the top of this post are from the Emperor’s Garden in Boston’s Chinatown. 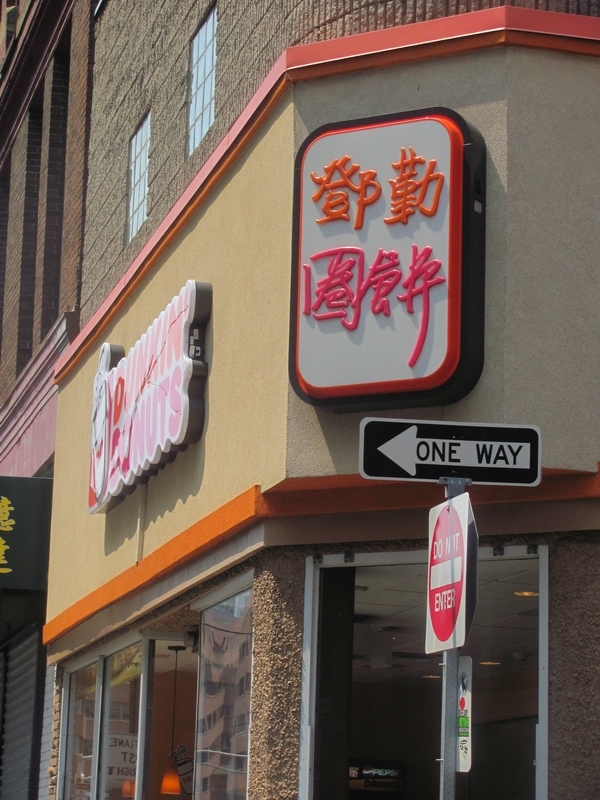 As “Chinatowns” go, it is small, just six or seven blocks with several restaurants, a few bakeries and small groceries. There are many, many hair salons and stylists as well as small shops selling DVDs of recently released movies and overdubbed in various Chinese dialects. 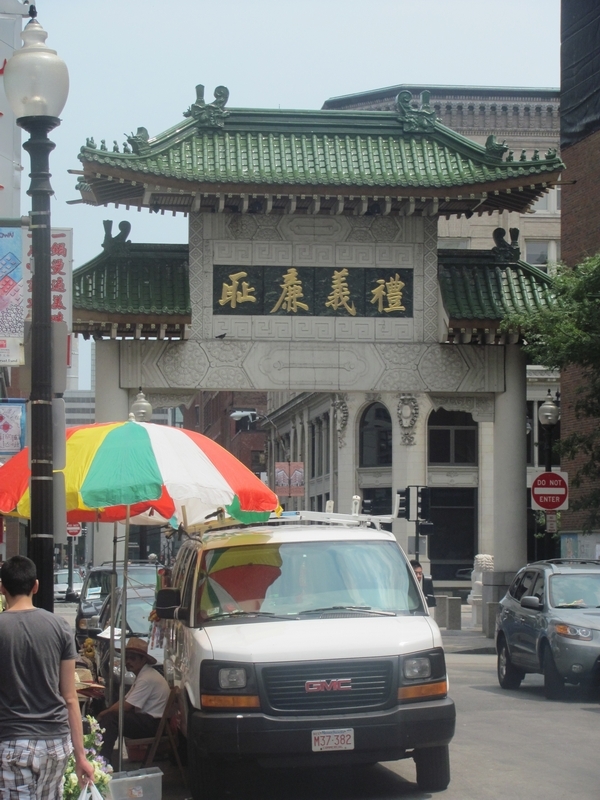 Even if you’re not a fan of Chinese food, visiting Chinatown is indeed a culturally rich experience for anyone. The Emperor’s Garden where I recently had dim sum, was once a theater that may have been in operation during the heyday of vaudeville and burlesque. Its location on Washington Street is sandwiched between a theater district and what once was known as “The Combat Zone” or red light district. However the red light district has been obliterated to allow for the expansion of Chinatown as well as a nearby medical center. Inside the Emperor's Garden. Note the domed ceiling and where the stage may have been at the left edge of this photo. 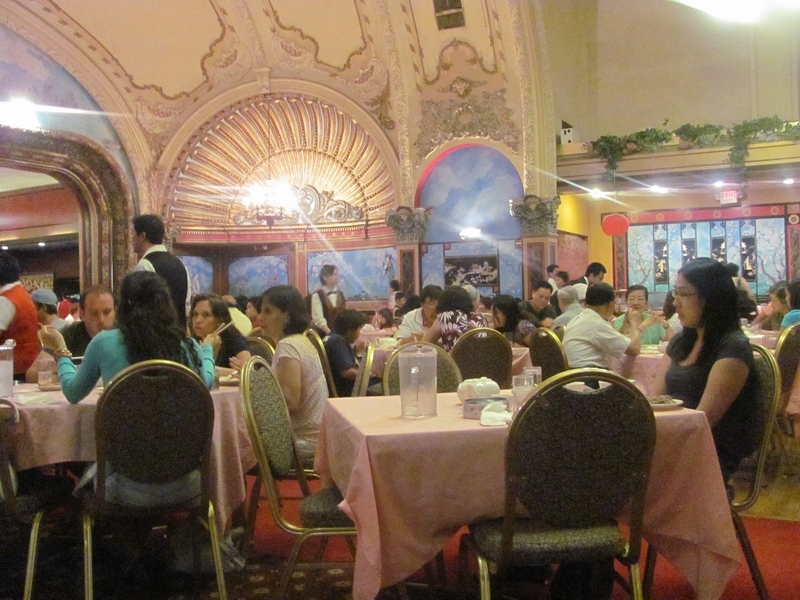 The experience of dining in such a cavernous hall that produced vaudeville many years ago truly adds to the ambiance of the dim sum experience. And of course, a walk around the neighborhood to help digest all the carbohydrates from the meal will add even more to the “pork bun experience”. Dear readers, my apologies for this diversion and thanks for your indulgence while I pursue my other passion – food! I promise that my next post will be more along the lines of what you expect from MemphisWeaver, and that includes textiles and book arts. In the meantime, experience and enjoy those pork buns!